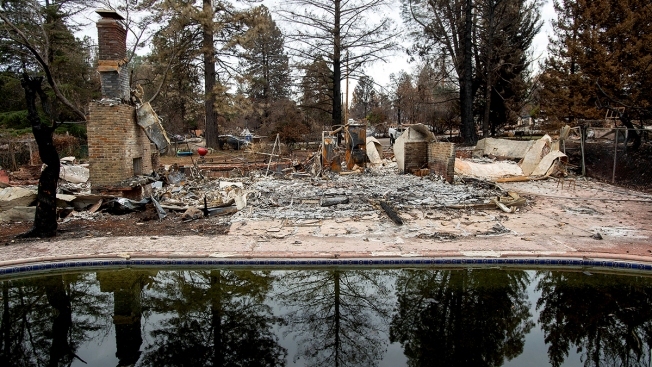 Trees reflect in a swimming pool outside Erica Hail's Paradise, Calif., home, which burned during the Camp Fire, Monday, Dec. 3, 2018. Hail, along with her husband and three kids, plan on staying in a Yuba City hotel through February. Hundreds of residents from wildfire-torn Paradise are being told to leave their properties again. The decision comes after FEMA warned the town it could lose more than $1 million in federal funding if people remained on property that has yet to be cleared. Two months ago, Paradise’s city council voted to let hundreds of people return to their property and live in RVs, while they assess the damage. Now those residents must relocate again after the council on Monday reversed the vote. The Camp Fire tore through Butte County last November, destroying thousands of homes and killing more than 80 people. 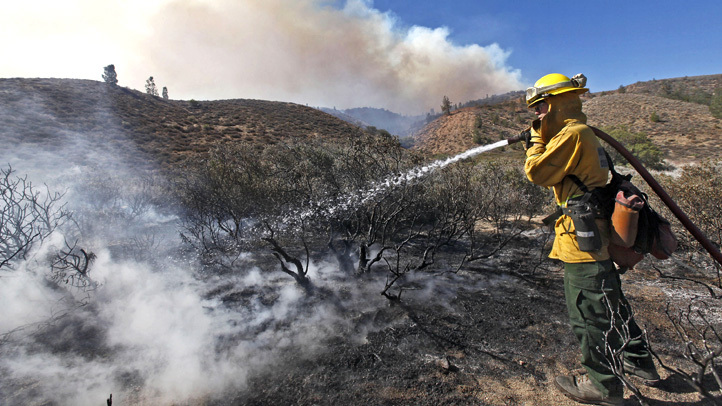 At the time it was considered the state's most destructive wildfire.